The Noordsvaarder 900 Yawl is a successful blue water cruising yacht from the Dutch design board of Moedt and built by the well known Jachtbouw boatyard in Sneek. During the present ownership Scrabbler ll has been successfully re-fitted for long distance cruising and living aboard and is currently moored in an historic port in the West Algarve. 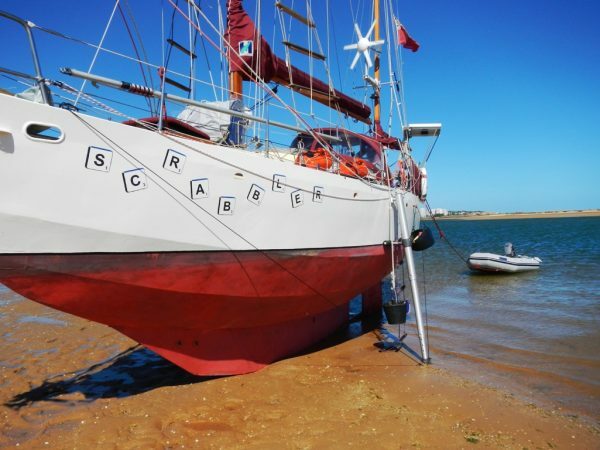 Scrabbler ll is of multi-chined steel construction with steel decks and cabin structure. 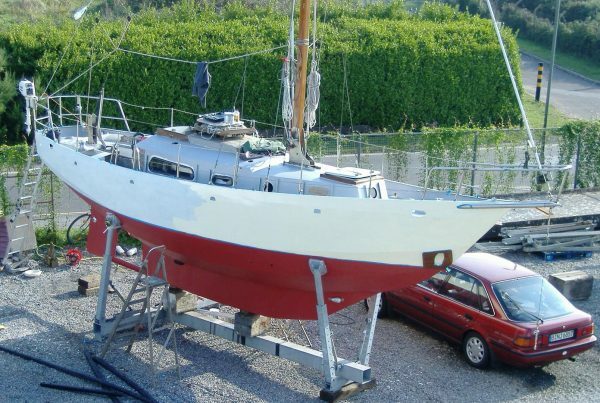 The hull was professionally sand blasted and epoxy coated in 2003. Four new welded stud anodes fitted in 2011. Cabin structure re-painted in 2011 with epoxy paint. Insulated with 5cm closed cell foam Armaflex ca. All windows and hatches replaced in 2009. 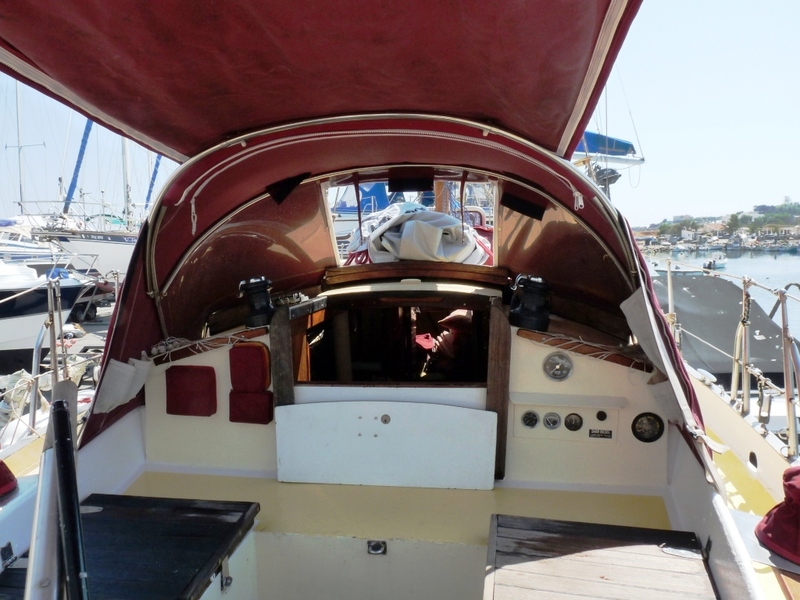 Deck grit blasted and re-painted in two part epoxy and re-finished in 2013. 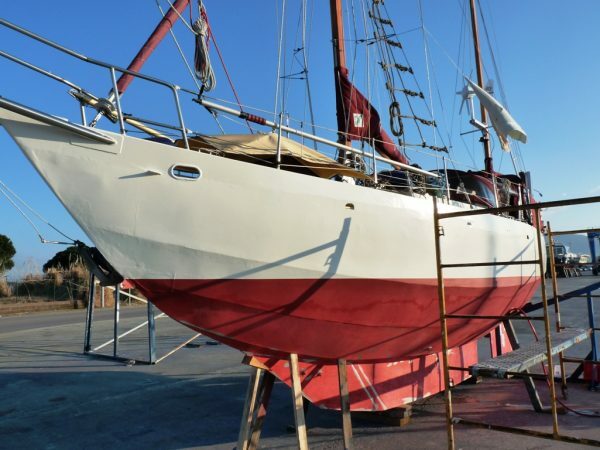 1.7 ton lead ballast keel, epoxy sealed. Traditional style re-appointed open-plan style accommodation with part Eberspacer heating installed in 2008. 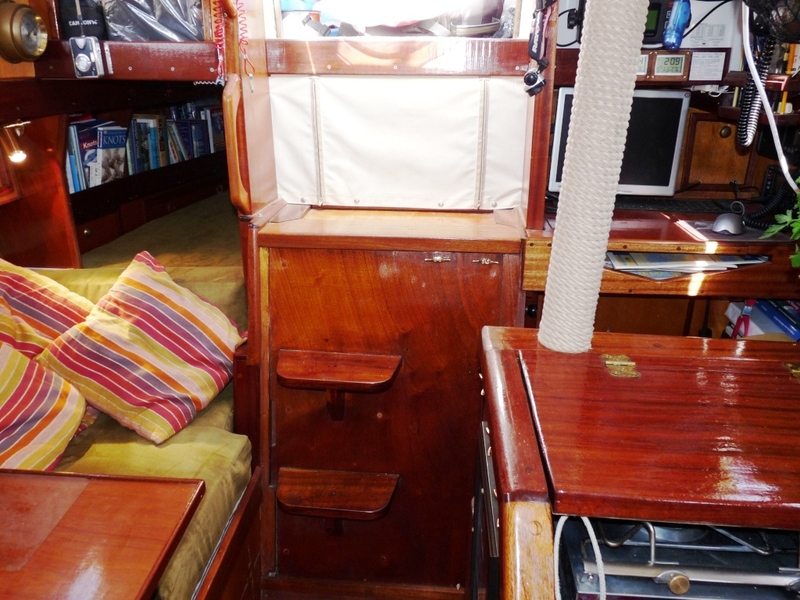 Saloon with dinette to starboard converting to single berth. Navigation station to port and quarter berth to starboard. 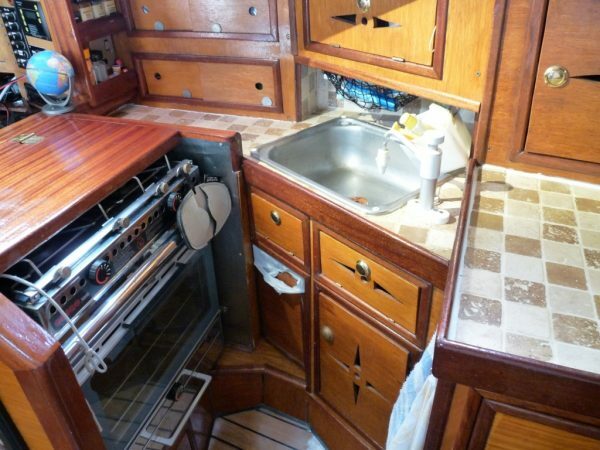 Generous galley with stainless sink unit having fresh and salt water pumped taps. 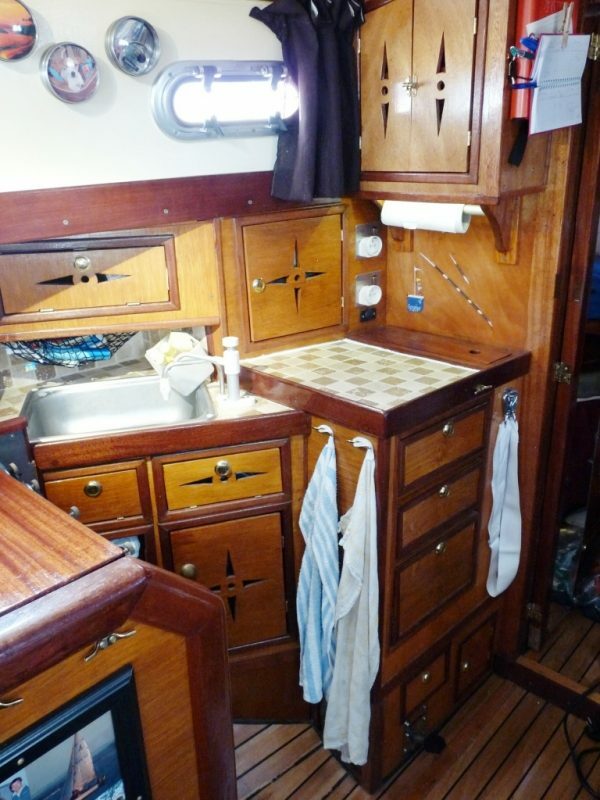 Wine locker, Frigoboat fridge/ freezer, Origo 6000 cooker and ample pantry and crockery lockers. 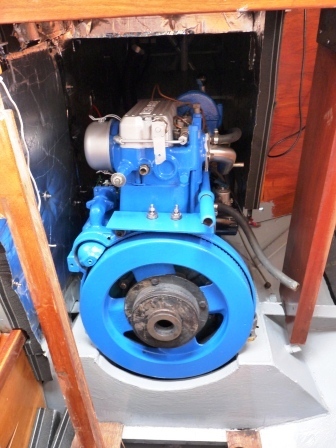 16hp Sabb 2HG Diesel Engine, raw water cooled. 2000 recorded hours. 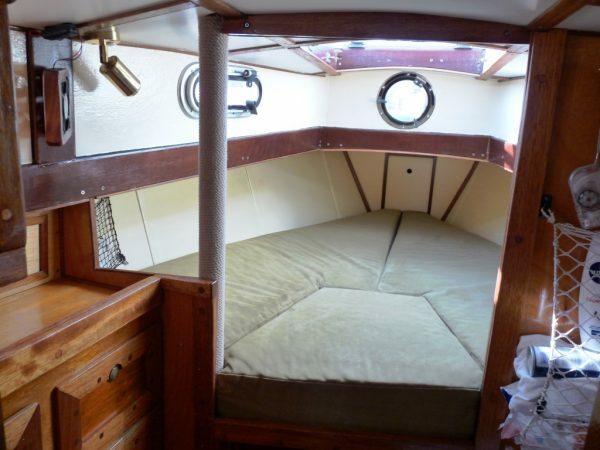 Cockpit, locker seating, tiller steering, Fleming servo-pendulum wind vane self-steering (2007) Bimini and cockpit tent. Companion-way tent. Two new fuel Tektanks in 2010, 133 litres in total. Tektank holding tank fitted new 2010, 30 litres capacity. Plastimo flexible water tank, 120 litres fitted new 2013. Rutland HRDX regulator for wind / solar charger. Shore power. Rutland wind generator 913 new 2009. Four Numax 12v 85 Ah domestic batteries, new 2009 and two Numax 12 v 85 Ah starter batteries new 2009. 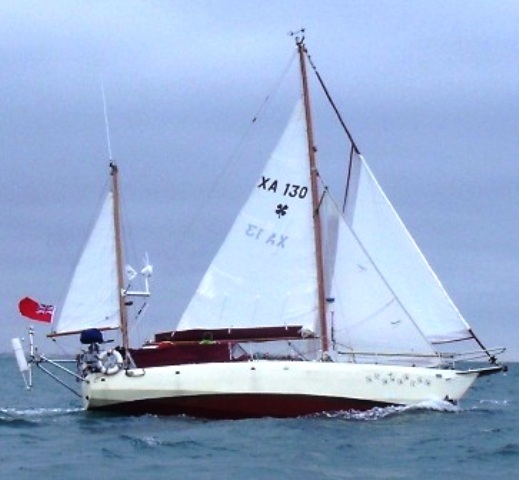 Deck-stepped masthead Yawl rig. 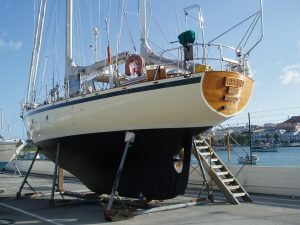 New Oregon pine main mast and mizzen in 2002. Oregon pine booms new 2002. 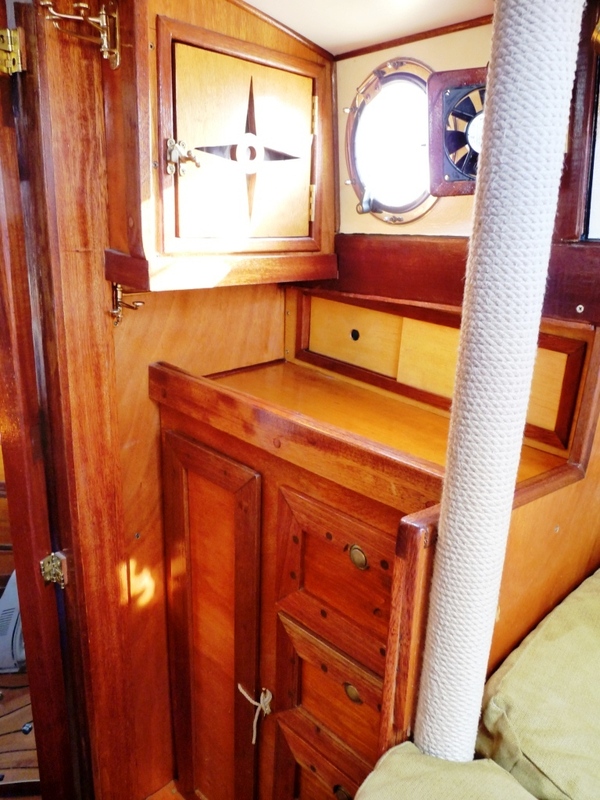 All re-varnished in 2010 with Coelan. 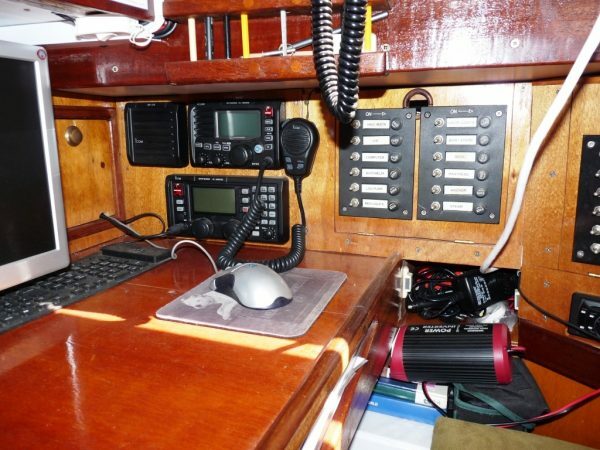 Sails include: Main, circa 2004 with lazyjacks and stack pack system 2008. 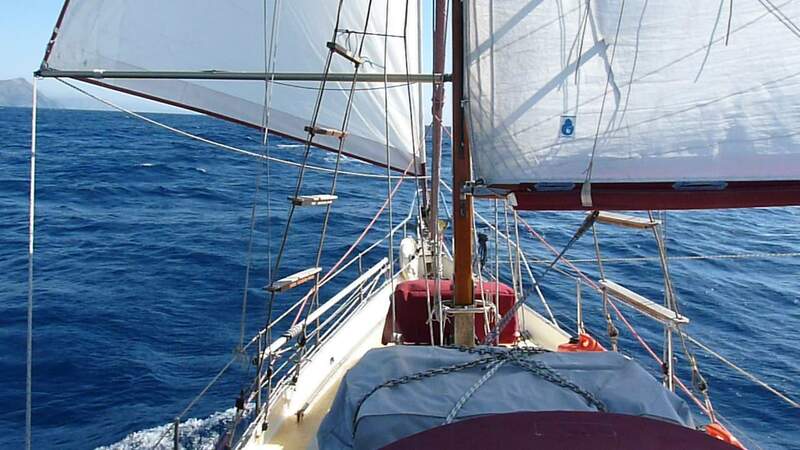 Mizzen, circa 2004, roller-furling genoa 2008, roller-furling staysail 2010. A-Symmetrical Spinnaker, 2004. Stainless steel standing rigging new 2010. 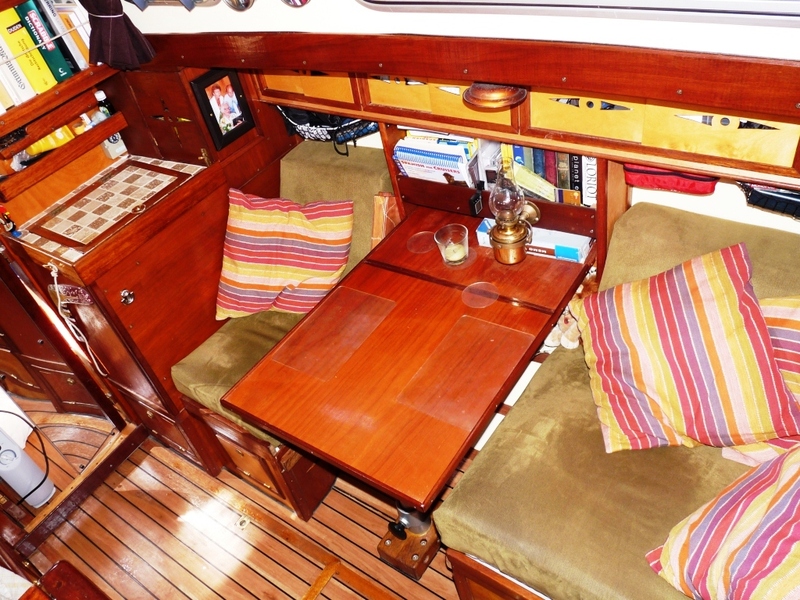 Running rigging, all leading back to the cockpit, new 2008. 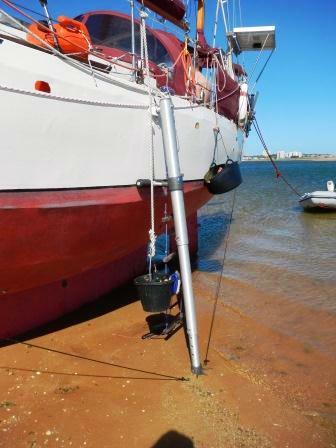 Two aluminium spinnaker / headsail poles. 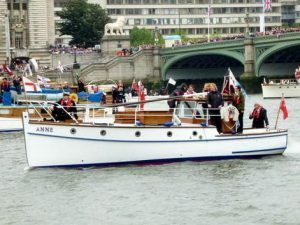 Rat-lines with teak rungs to spreaders. A-frame and winch for lowering the main mast. 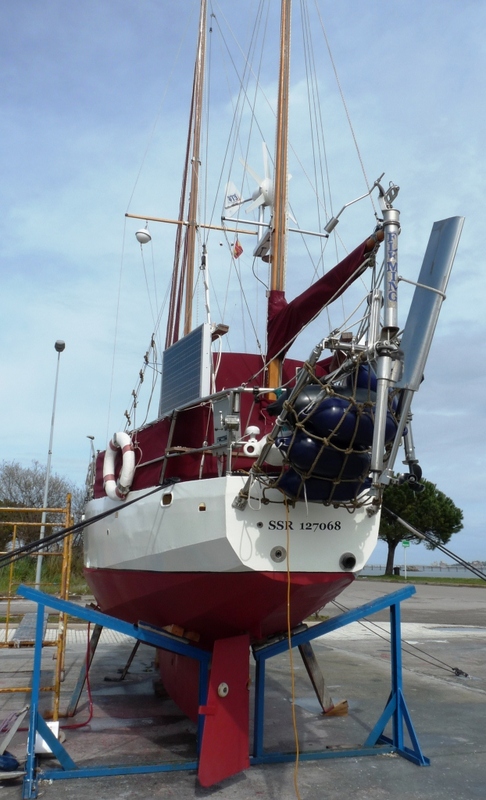 Two Lewmar winches, two Enkes and two other sheet winches. 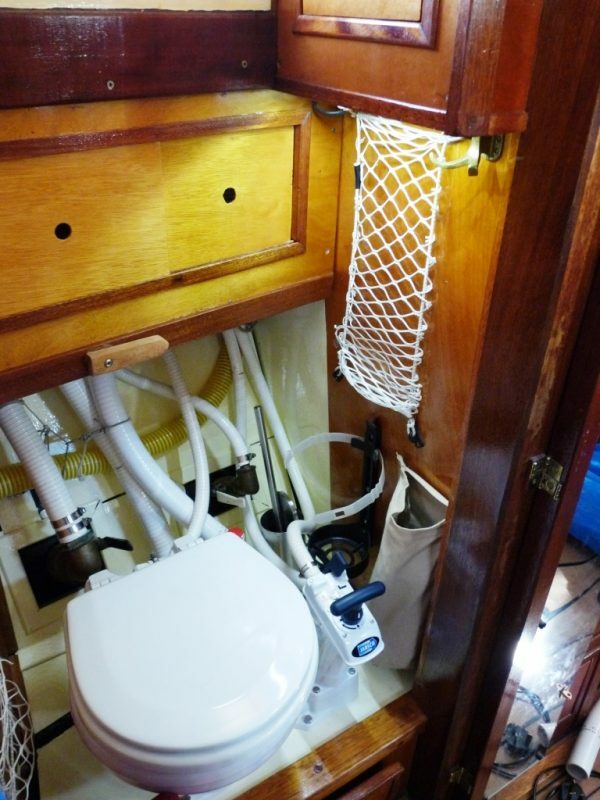 Danforth anchor and 30m braided rope. 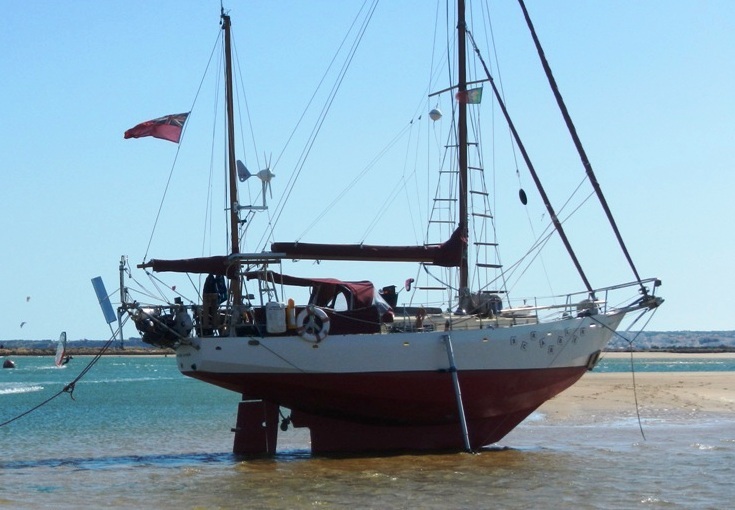 An extremely well equipped and nicely re-fitted classic style steel yawl located in a beautiful Algarve port and ideal for extended blue water cruising, coastal exploring or holidays in the sun. 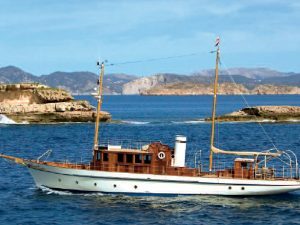 Sold by Classic Yacht Brokerage last Summer and unexpectedly back on the market due to the owners ill health. 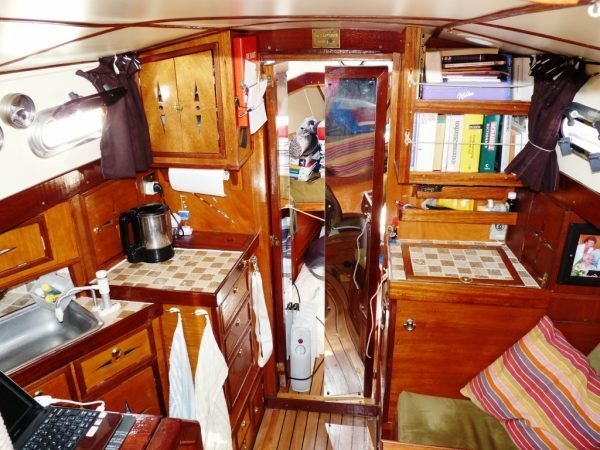 Offered at a very realistic guide price for a quick sale. 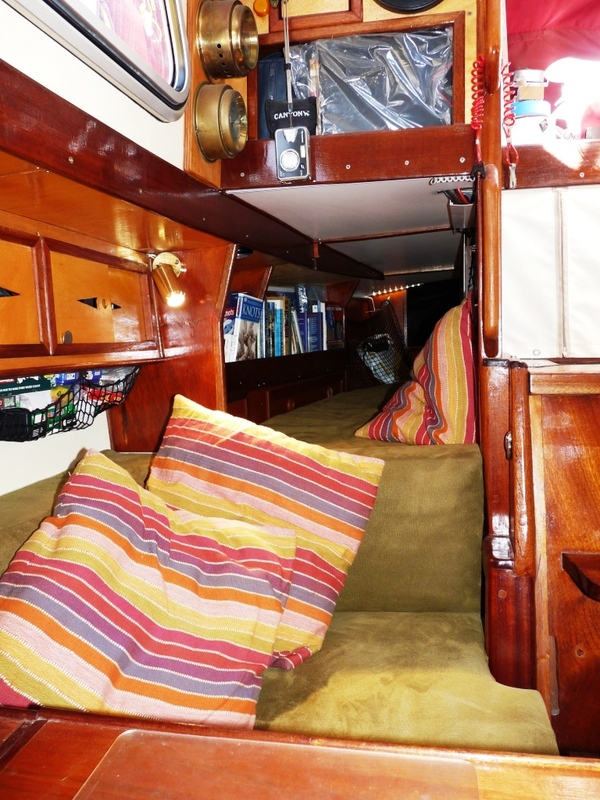 Contact us for more information, additional photographs or to arrange an appointment to view.